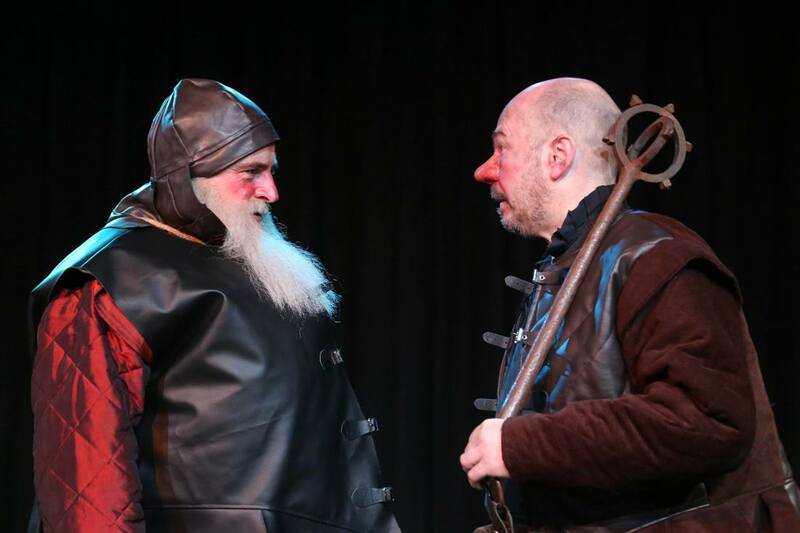 SOUTHEND Shakespeare Company's production of Henry IV Part 1 begins 15 minutes earlier that the official start time, bursting into a raucous tavern scene that is definitely not part of the Bard's original script. Not for the first time in the course of the evening, it spills over into the audience, so hide under a back-row chair if you don't want to be enlisted into a wild dance with saucy strumpets. Whatever else, this production definitely earns 5* for its floozies. 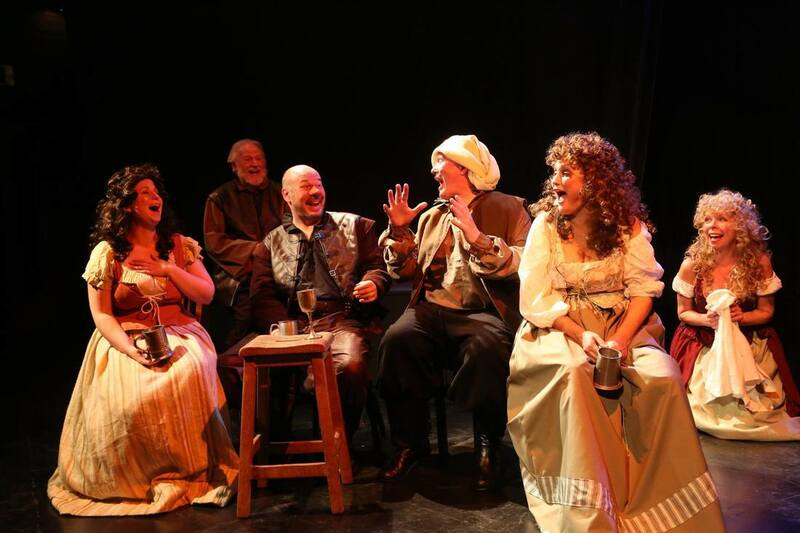 This unofficial prelude, set in the Boar's Head tavern, Eastcheap, is all good, rumbustious fun, but it also serves a dramatic purpose, launching the production with a pace and vivacity that never relents. HIV1 is Shakespeare's - perhaps the world's – greatest low-life drama. Director Malcolm Toll wastes no time in setting up the bawdy backdrop with rude relish. 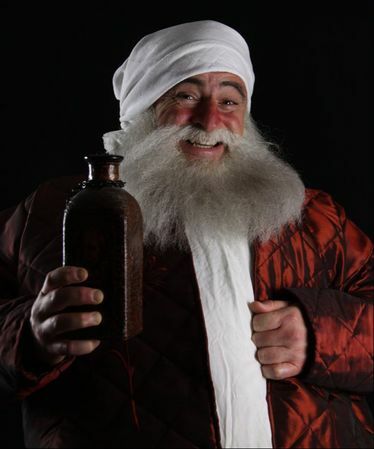 Presiding over the tavern's disreputable world of tarts, drunkards and small time crooks is the magnificent figure of Sir John Falstaff, cited by J.. Priestley as “the greatest comic character ever born out of the human imagination.” Any production of HIV1 stands or falls by the casting of Falstaff. This production definitely stands. It isn't so much a matter of Andrew Sugden playing Falstaff, more a case of Falstaff engulfing all original traces of Mr Sugden. Where once there was an actor, now there is just the famous Fat Knight. The great portly body, the waddle, the wide face and wall of whiskers, the voice, with its infinite repertoire of pitches,from wheedle to boom, depending on the circumstances. This simply is Sir John, transported direct from Shakespeare's mind without touching the edges. Falstaff's rascally antics, from failed highway robbery to playing dead on the bloody battlefield of Shrewsbury, form one half of HIV1. But they are counterpointed by a deeply serious historical narrative, centred around the title character. Careworn, exhausted and insecure (“uneasy lies the head that wears the crown”). King Henry is faced by a rebellion, led by the impetuous Henry Hotspur, that threatens to dethrone him and tear the kingdom apart. The political resonances will not be lost on a current audience. His heaviest cross, however, is his wastrel son and heir, Prince Hal, who spends much of his time drinking and wenching with Falstaff. 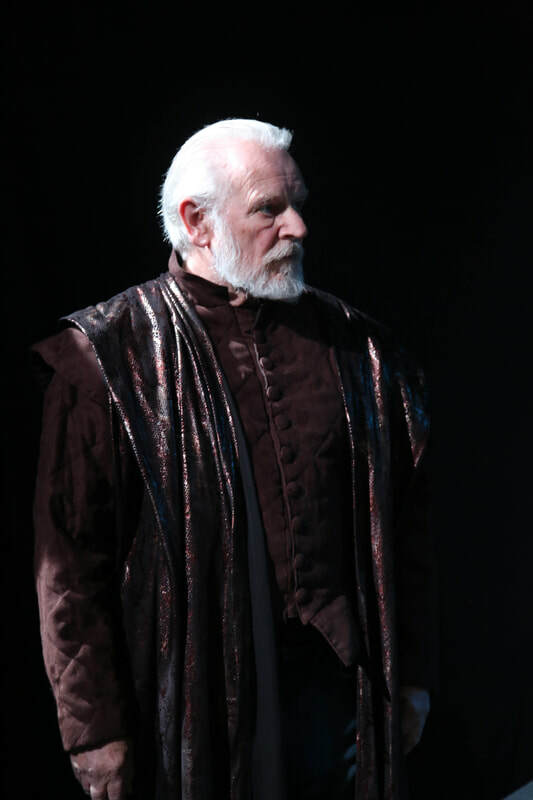 We know that Hal will soon reject the fat knight and transform into the great and noble King Henry V. But his father does not have the privilege of that knowledge. 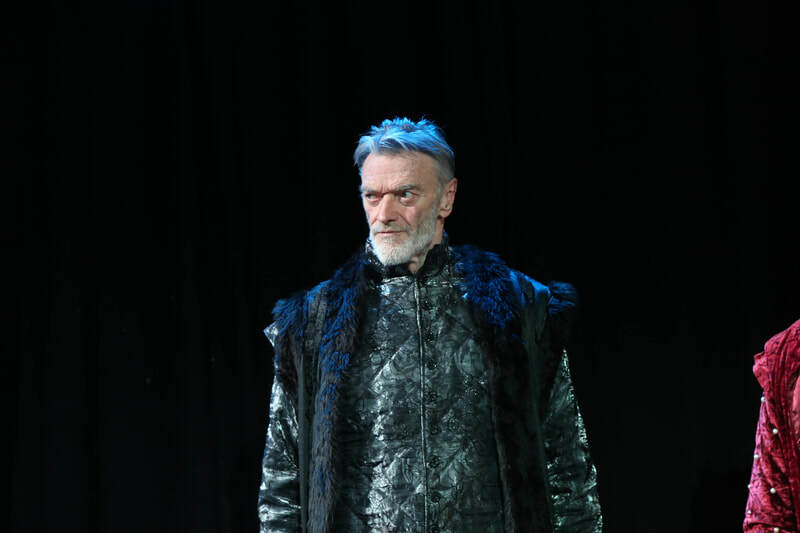 The savage father-son confrontation in the second half of the play is in some ways more violently disturbing than anything on the battlefield. 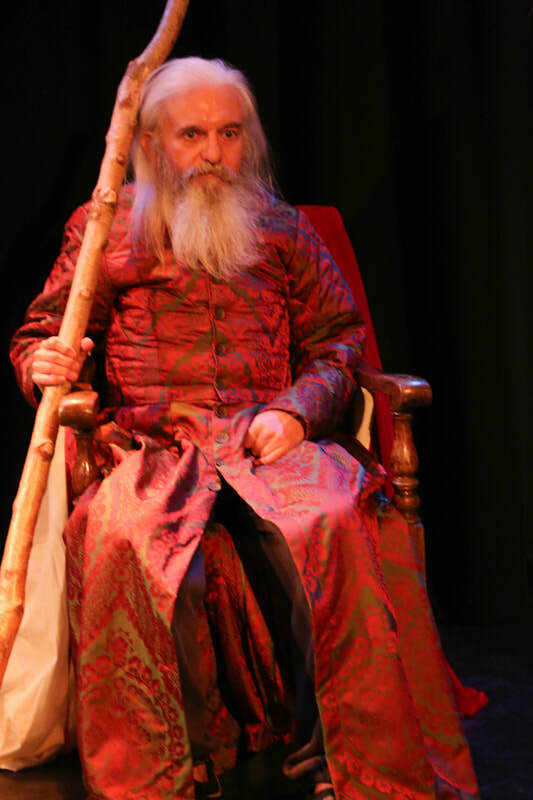 Already gifted with a perfect Falstaff, the SSC production is further bolstered by three other superb performances. 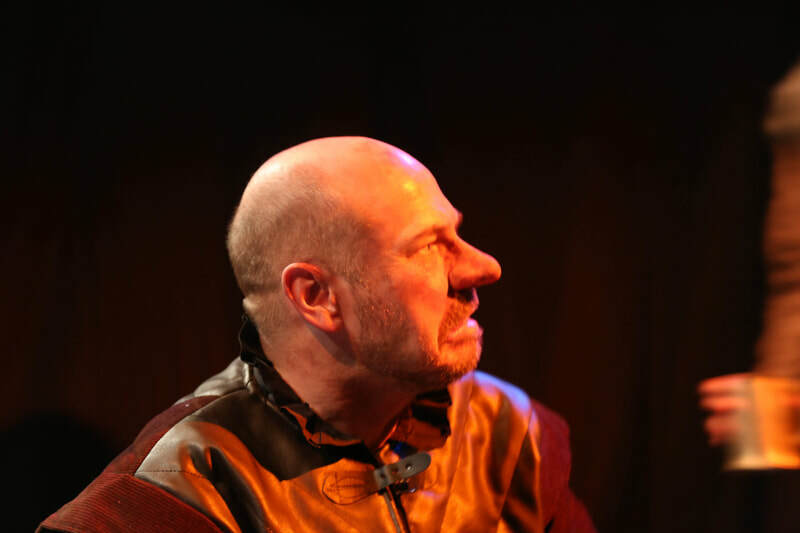 Nick Bright, a stunning Hotspur, eats up the stage with his vigour, capturing to perfection this ultimate portrait of hyperactivity, 450 years before the condition was diagnosed. Mr Bright deftly weaves together the stands of this dazzling character – impulsiveness, humour, nobility, mad courage, tenderness, and a sort of reckless mischievousness. 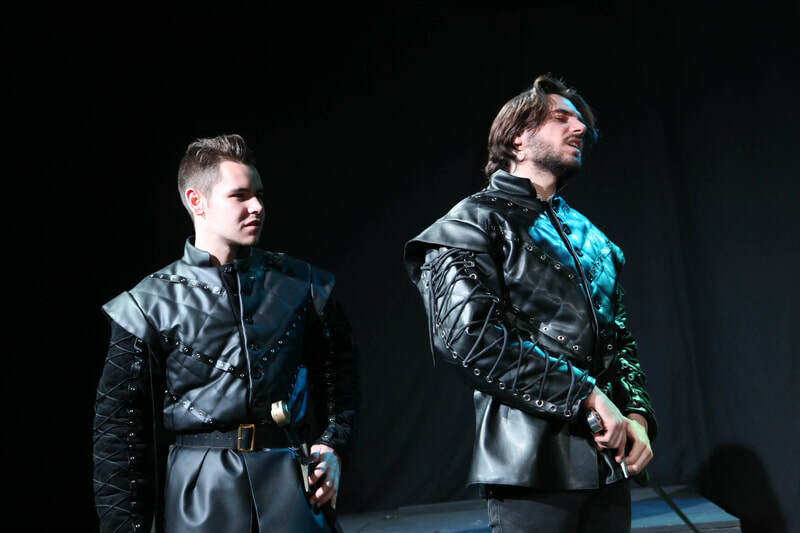 Elliot Bigden as Prince Hal is a perfect foil to his rival, the other Harry. 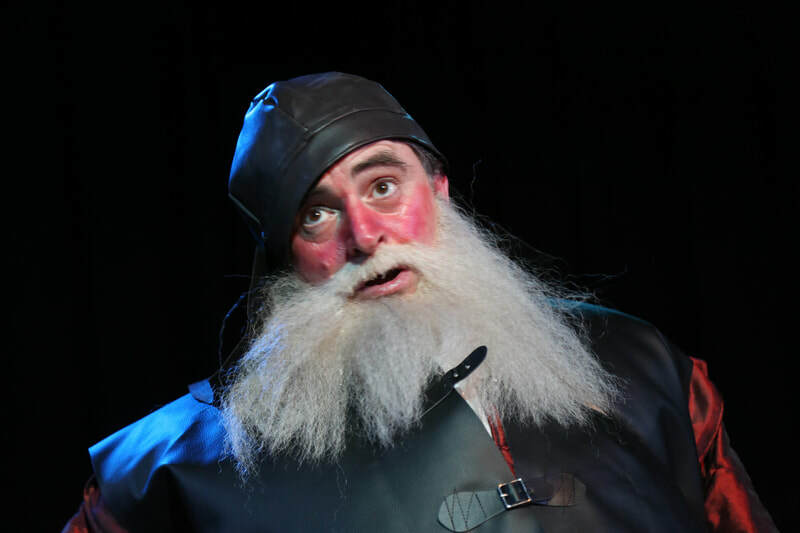 Utterly convincing and greatly charming as the fun-loving prince, one half of the Falstaff comic double-act, he is equally effective at capturing the way Hal transforms in front of our eyes into a dutiful son and responsible leader. 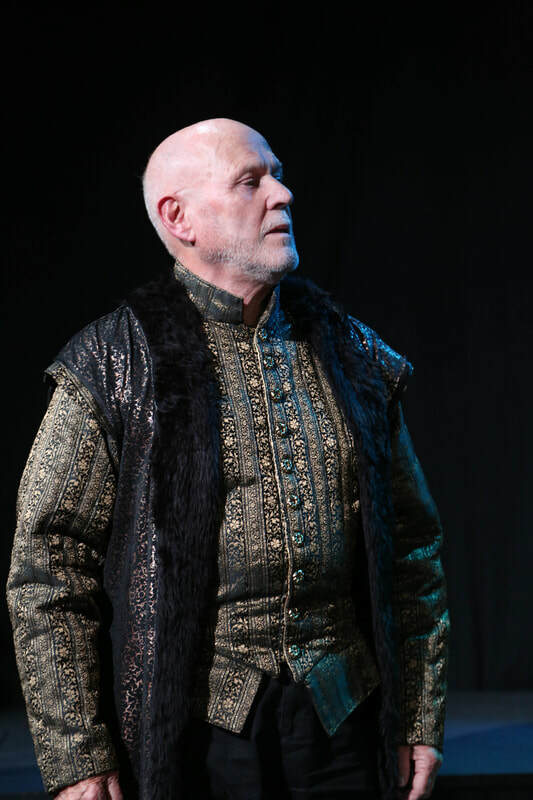 Dave Lobley as the king also shines in a different way, absorbing himself so completely into this weary character that his skin seems to become more ashen by the minute. 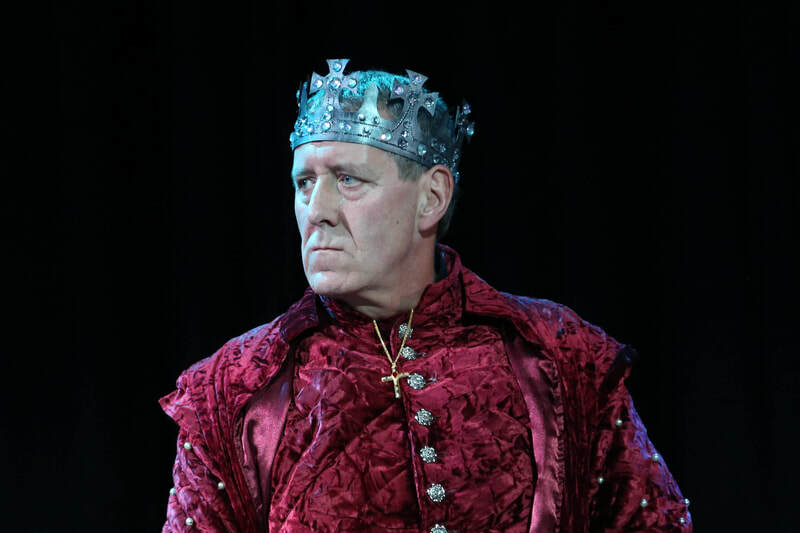 A less mobile figure than the Prince or Hotspur, the king gets the bulk of the play's verse. Mr Lobley handles these lines beautifully, so that they lead us right to the core of the king's embittered soul. Kim Tobin is a delicious Hostess of the Boar's Head. Craving respectability, she works herself into a steadily mounting lava froth of indignation over Falstaff's misdeeds, mostly committed at her expense. 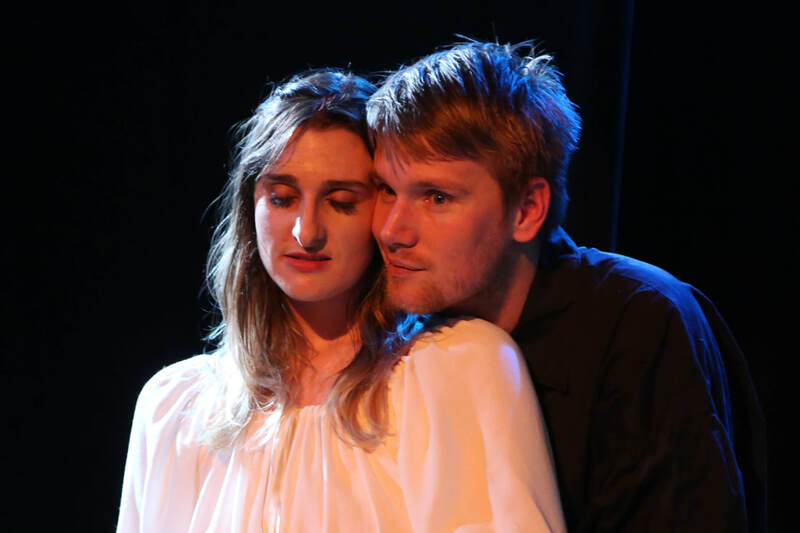 Southend Shakespeare stalwarts provide their usual stout back-up, but the production is also refreshingly packed with young faces who bode well for the company's future. The younger actors are getting a great apprenticeship. 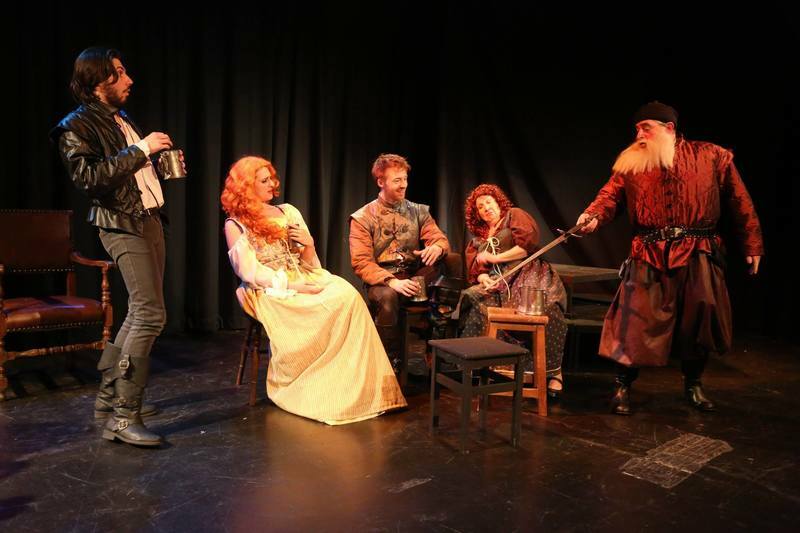 Southend Shakespeare Company has been on a roll for a quite a while now, and the good times continue with a cast on top form in a richly enjoyable production.